I’ve been waiting for park weather ever since we got our UH-MAZING picnic basket as a wedding present last year. Since we basically live a stone’s throw away from Prospect Park in Brooklyn (and the city on summer weekends frightens me), we’ve gotten the art of the picnic down to a T. Beautiful picnics look like a lot of work but trust me, if they were, we wouldn’t have park day every weekend – all you need are the essentials, click through for mine! Of course I’m partial to the one I already have because I can vouch for it’s awesomeness but basically you want any basket that comes with mini plates, cutlery and wine glasses. The one above is the Rattan Picnic Basket for Two from Pottery Barn, you can get it HERE – other awesome ones include the Hillside Picnic Basket from Anthropologie, Wicker Picnic Basket from Williams-Sonoma and the Bamboo 21 Piece Insulated Picnic Basket from Bed Bath & Beyond. I got the one we use from a dude walking around with them for sale at the Teotihuacan Pyramids in Mexico and it’s turned out to the best thing ever. The blanket is thick so it cushions the ground and it is gigantic (essential because my husband and I are both tall). I found similar blankets HERE at an amazing price but of course, there are always lots of other choices like this nylon backed roll up blanket from Pendleton and the Canadian classic, Hudson’s Bay Company Multi Stripe Point Blanket. 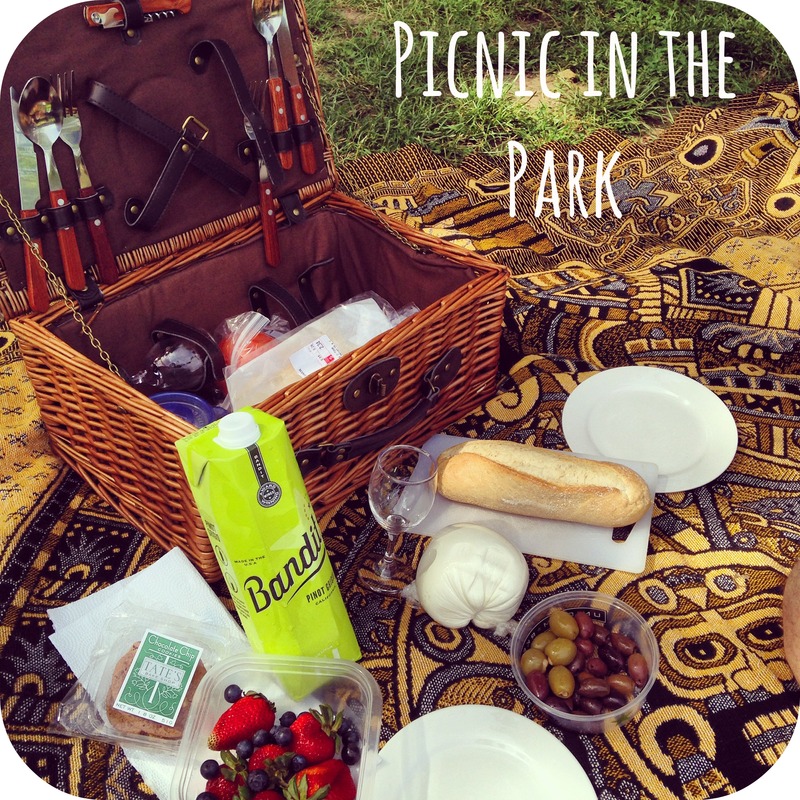 If you haven’t warmed up to boxed/tetra pak wine yet, you better hop to it – the quality is surprisingly great and for a picnic, there is nothing better than the compact packaging and convenience of a screw top. These wines fit nicely into picnic baskets and are easier to hide if the police decide to roll on through the park. 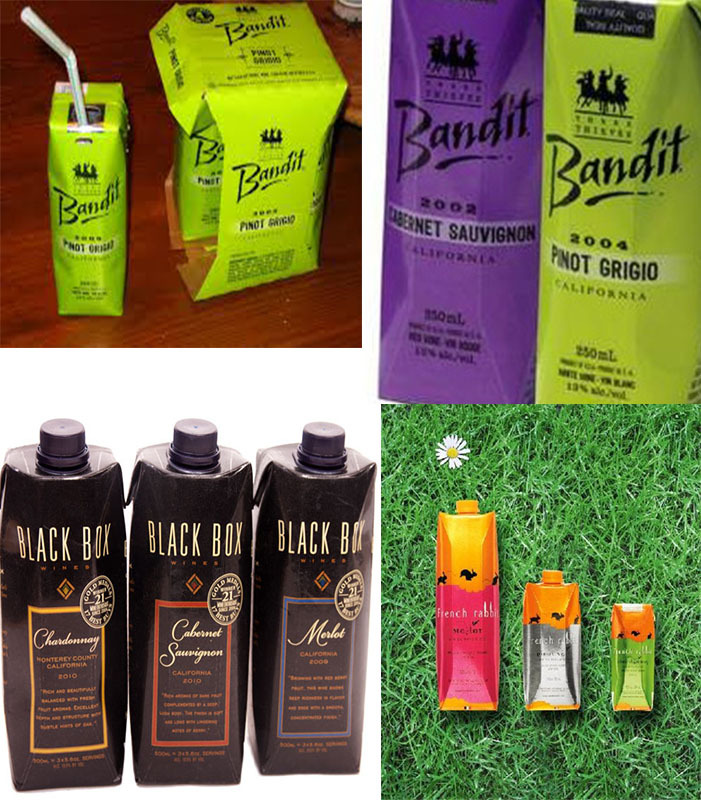 Also, some companies make mini tetra pak wines with straws… aka magical juice boxes. Don’t forget to bring a water bottle, especially if you plan to sit in the park for a while and in the sun. Made it this far? GOOD. Because this is the part that deters leisurely people from a leisurely afternoon in the great outdoors. 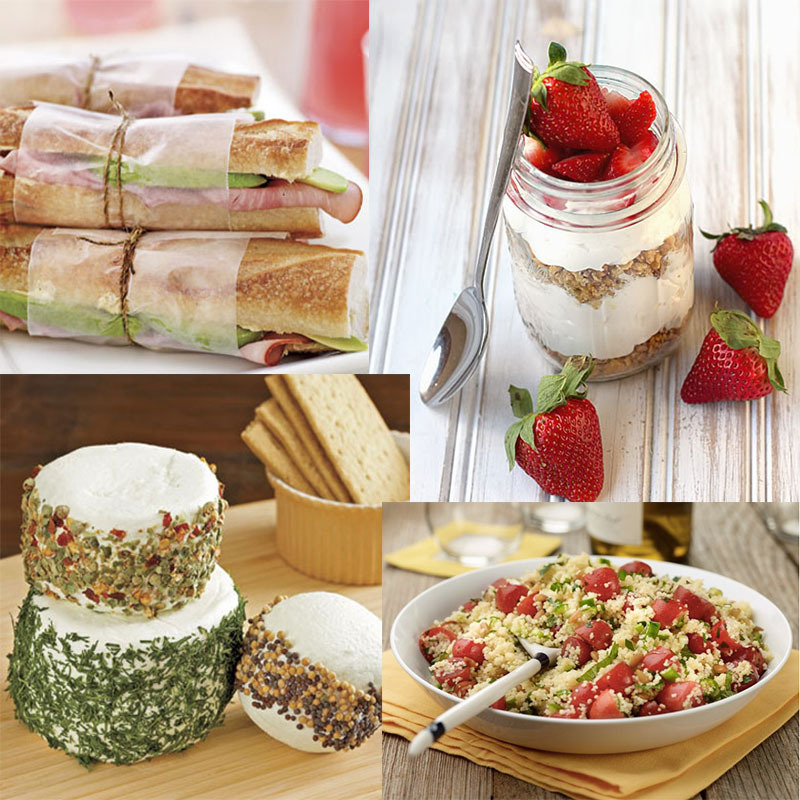 Since your basket will have cutlery, plates and glasses, the only other things you need to use from home to make a picnic on the fly are: a mini cutting board and tupperware. I usually open the fridge and fill a tupperware with what I already have such as berries/crackers or anything else that looks good. No prep! Next we just stop by the grocery store or the butcher shop on the way to the park. We buy: delicious rolls, cold cuts, sliced cheese or a ball of mozzarella, cheese to eat on its own, a tomato, a pack of cookies aaaand anything else that looks awesome. The beauty of all this is that you can make your sandwiches while sitting in the park instead of staying inside to prep. Of course, prepared salads etc. from the grocery store are awesome too.